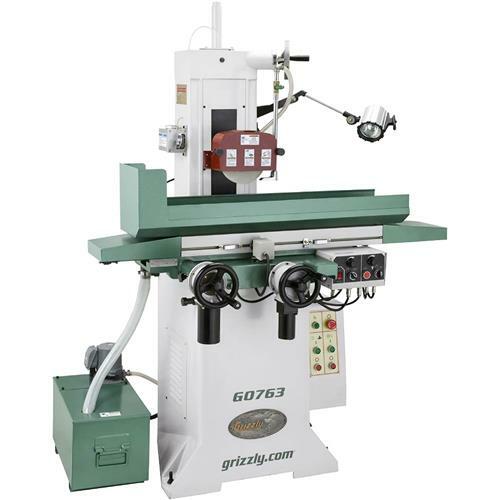 Leave it up to Grizzly to bring you a classically-styled, high-quality Surface Grinder with an automatic-feed reciprocating table that is affordable! Just set the table reverse stops, longitudinal and cross feed rate controls, and grinding depth—then step back and watch this puppy go to work! 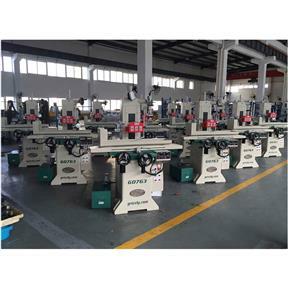 Want to feed the table manually? No problem! Use the precision handwheel controls. 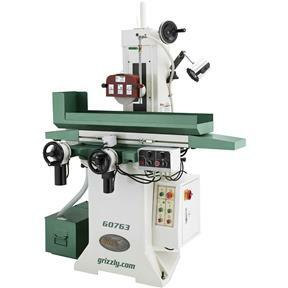 The cross feed handwheel is graduated in 0.0005" increments and moves the table 0.1" per revolution. 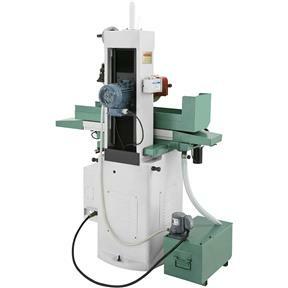 The vertical feed handwheel is graduated in 0.0002" increments and moves the grinding wheel elevation 0.05" per revolution. 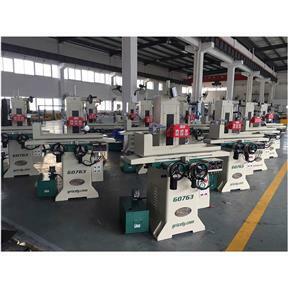 To ensure an extremely high degree of accuracy, the table is constructed with precision hardened and ground double V-ways for longitudinal feed, and the spindle uses super-precision P4 (ABEC-7 equivalent) spindle bearings. Also includes a 9-1/4 gallon coolant system, magnetic chuck, halogen work light, precision wheel-balancing tool, and diamond wheel dresser. Table surface: 6" x 17-3/4"
Max. 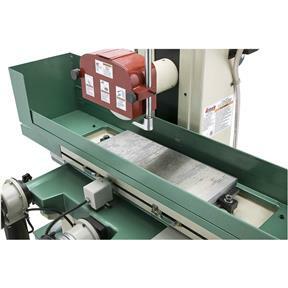 distance wheel to table: 10-3/4"
Grinding wheel: 1-1/4" B x 1/2" W x 7" Dia. Column size: 13-3/4" x 11-3/4"
Approximate shipping weight: 1544 lbs.